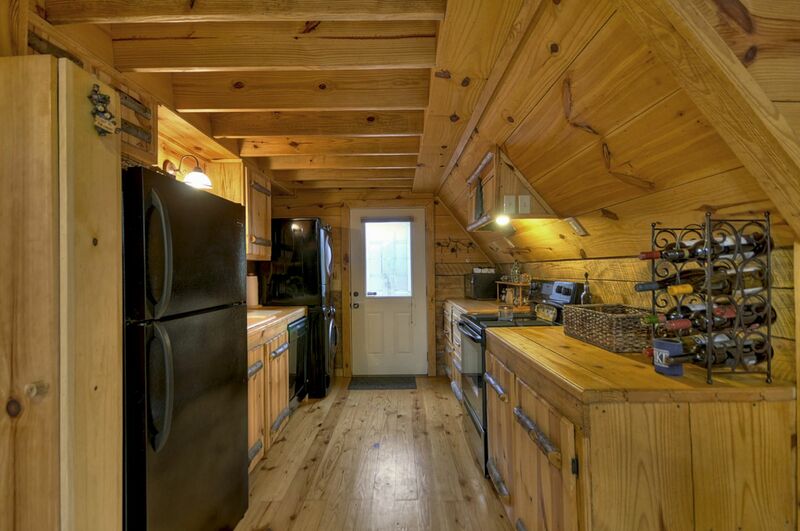 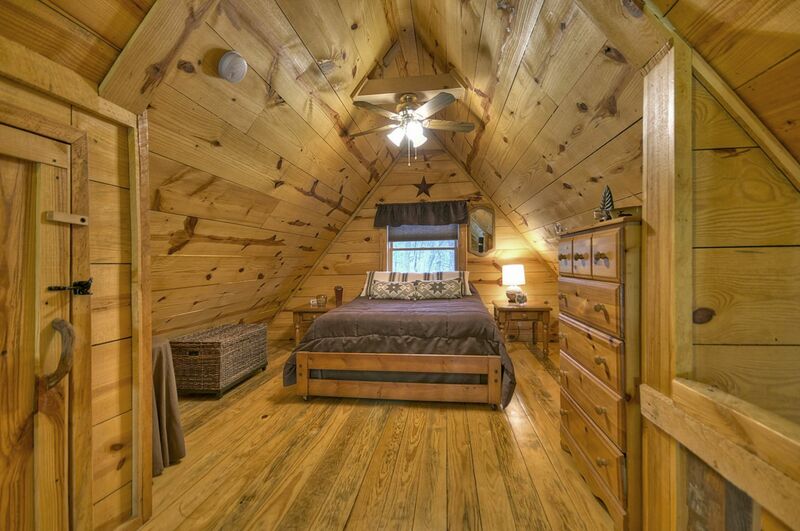 Who knew such a cozy little cabin could pack such a big punch! 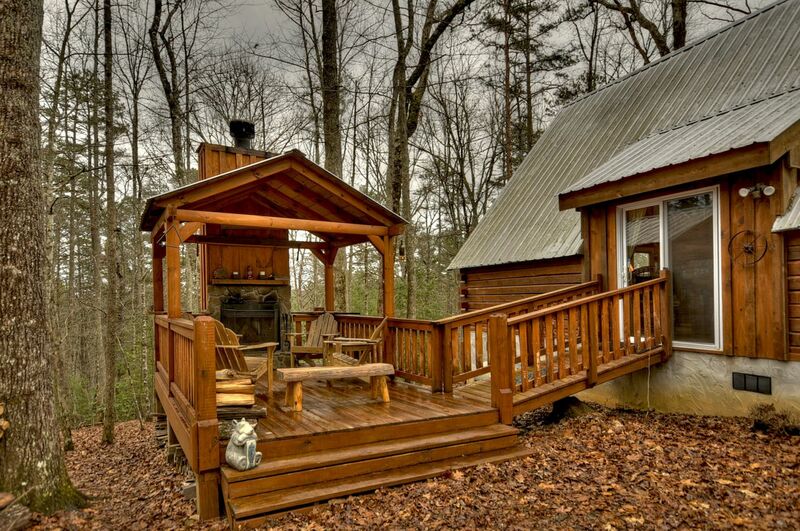 A quaint spot for a honeymoon or small family getaway, Triple Treat Retreat strikes a perfect balance between the characteristic appeal of a simple, charming cabin and a modern mountain retreat. 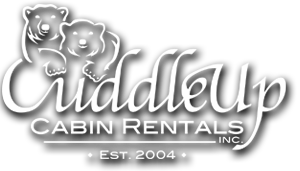 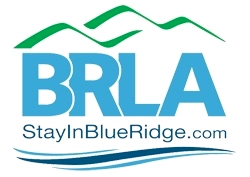 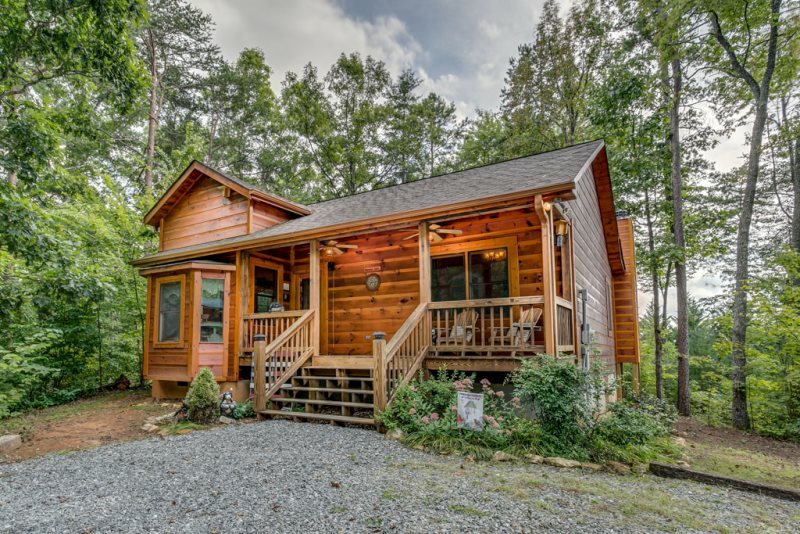 Tucked into the woods off a gravel road, though we recommend using a 4-wheel drive vehicle to access the cabin guests will be delighted to find Triple Treat Retreat is a quick drive from Blue Ridge, GA as well as whitewater rafting on the Ocoee River. 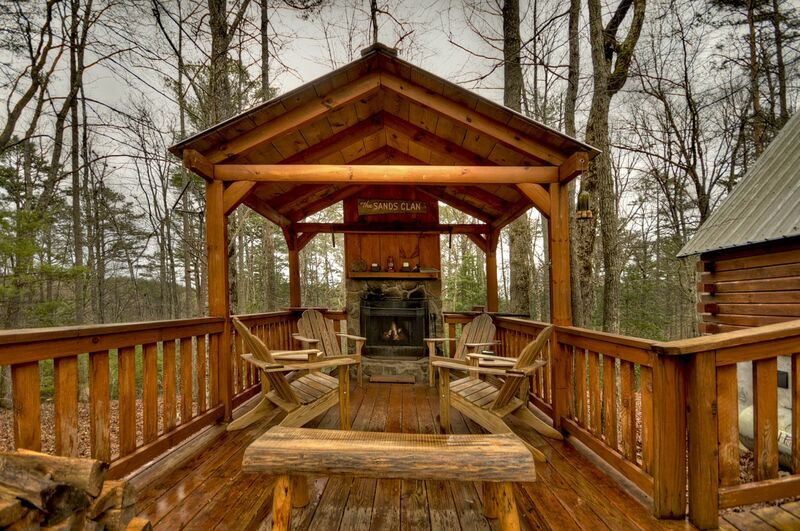 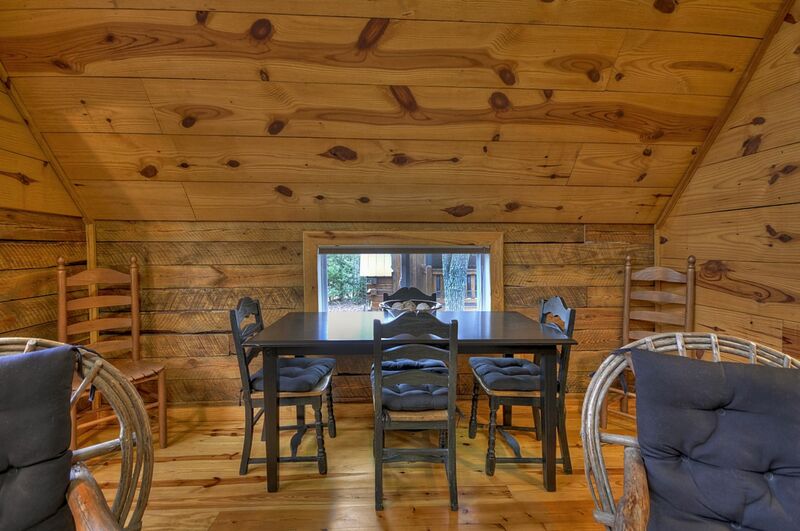 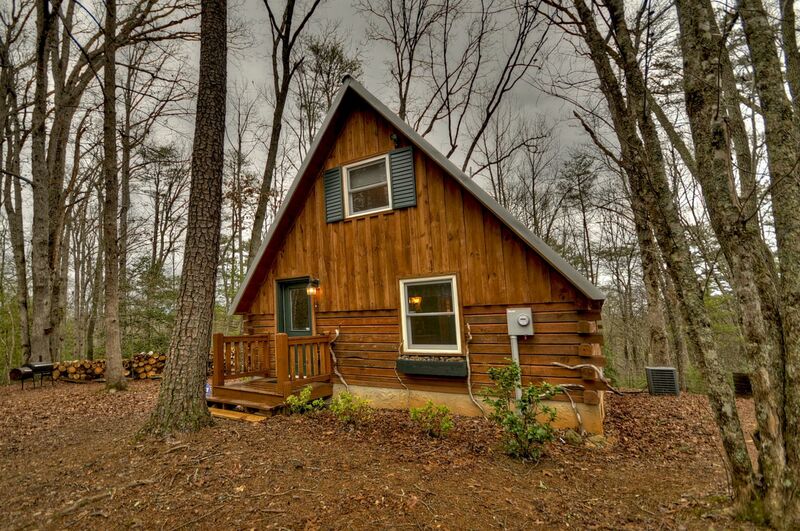 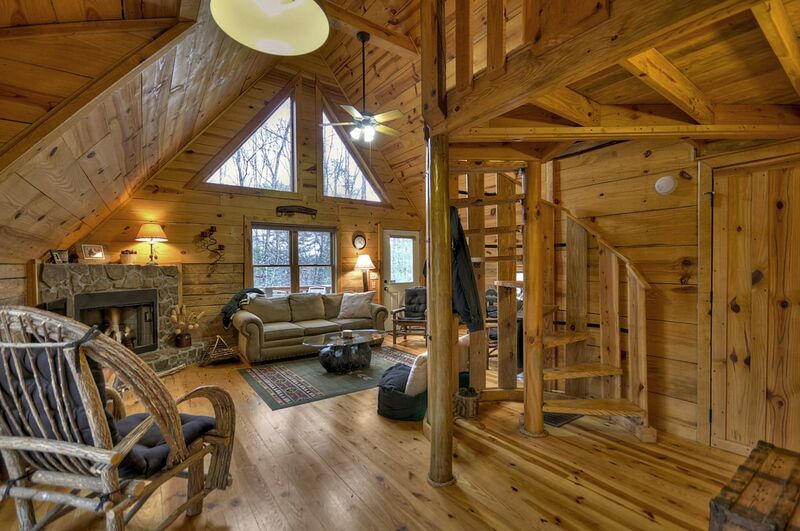 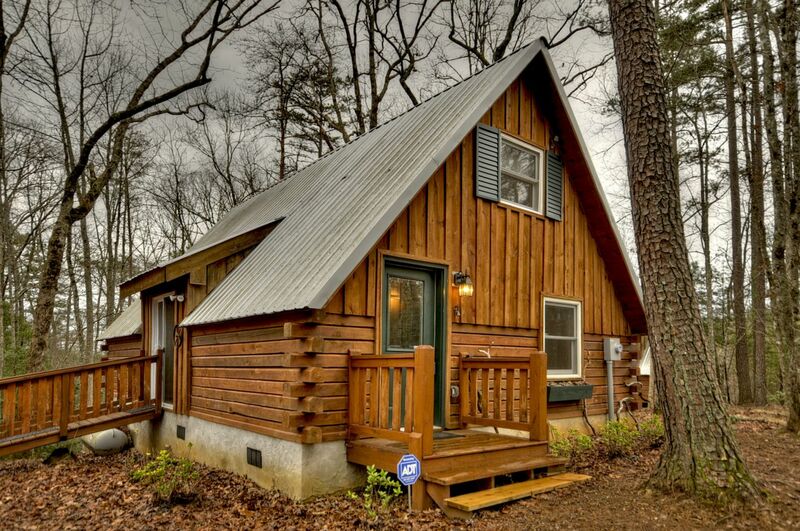 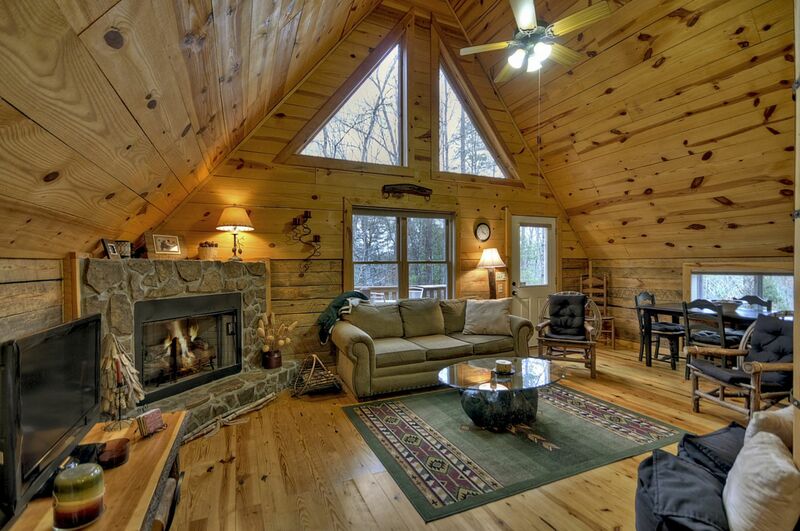 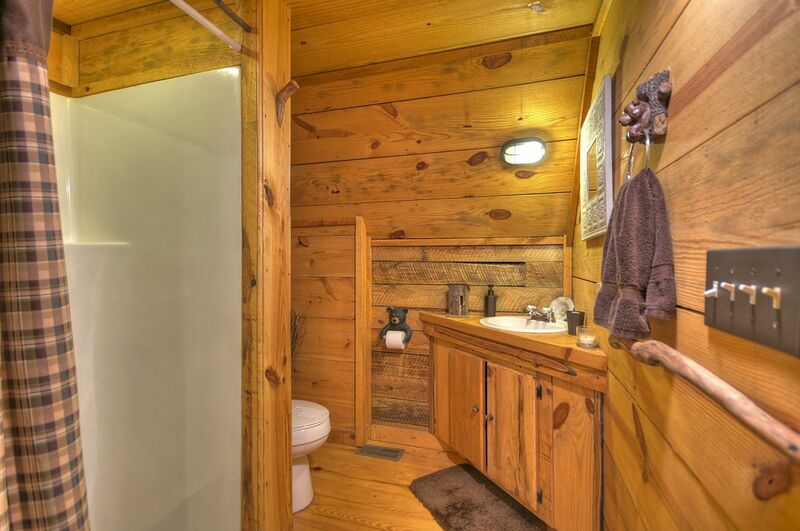 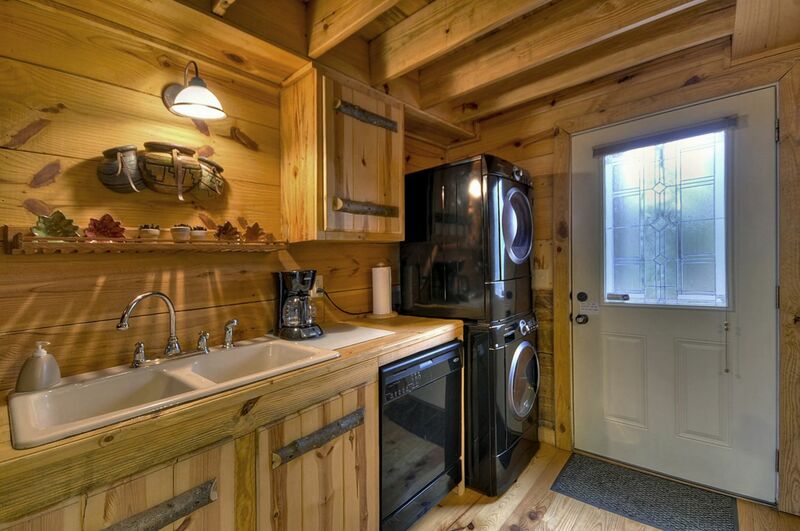 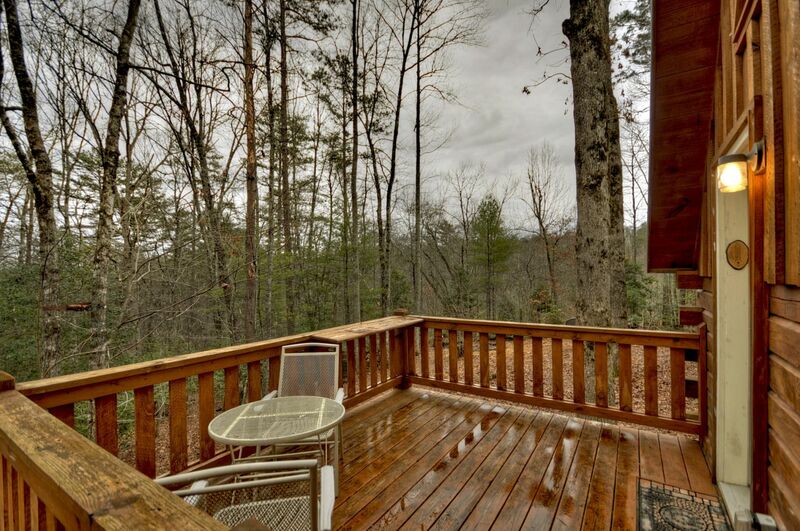 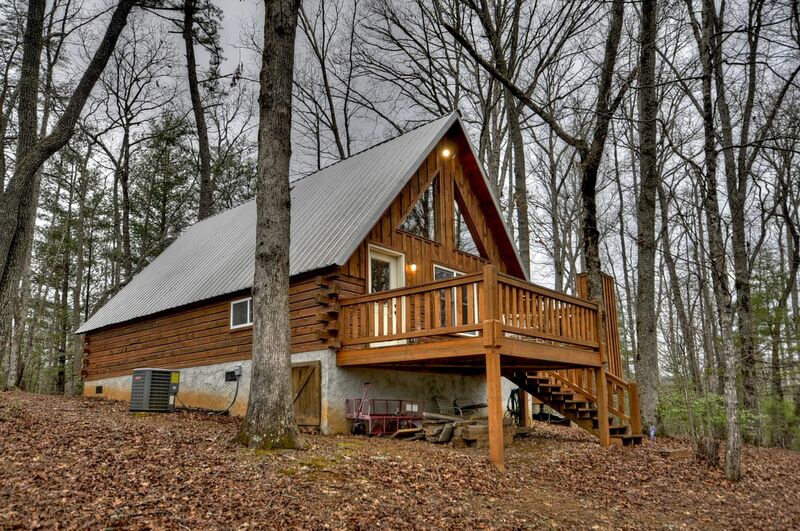 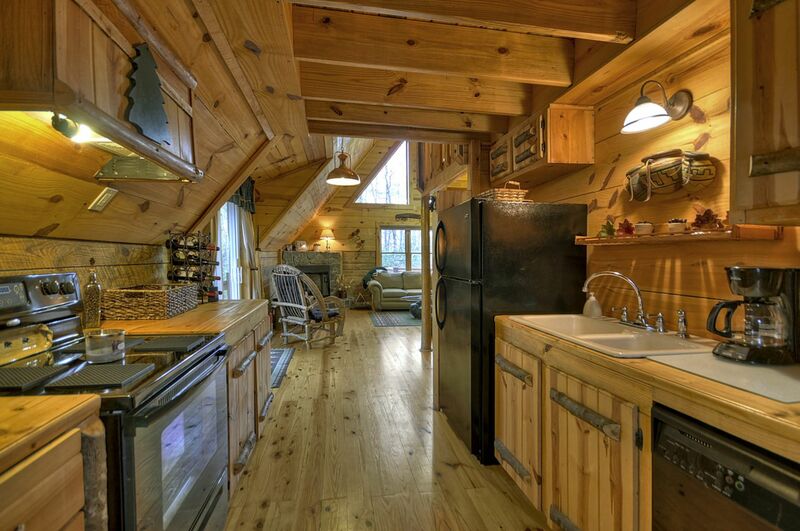 The cabin is perfectly positioned to soak in the beauty and tranquility of the North Georgia Mountains! 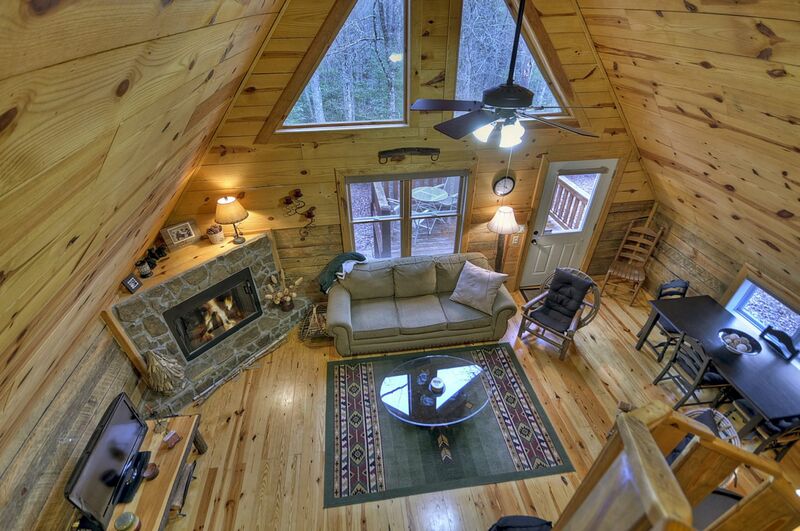 Explore the grounds, relax by the warmth of the outdoor firepit, or sit in the comfort of the cabin interior and bathe in the natural light streaming in through the fixed glass panels and windows. 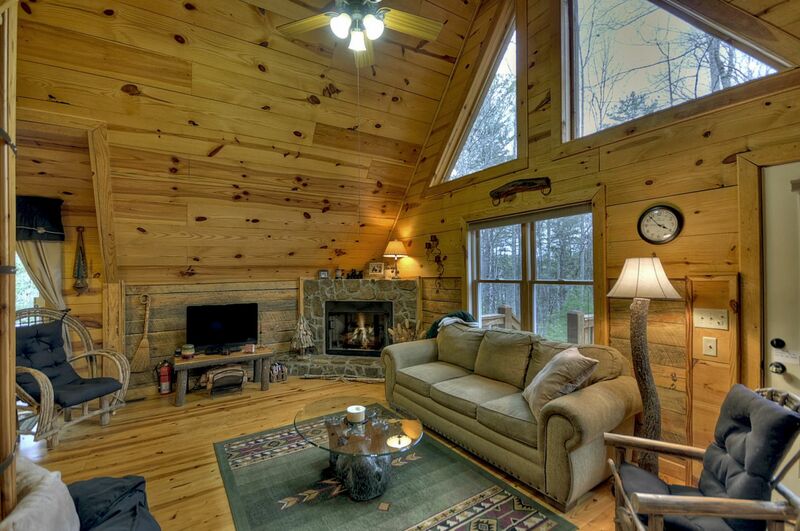 A seasonal gas log fireplace in the great room, plush seating, and minimalist rustic cabin décor give guests a cozy lodge feel. 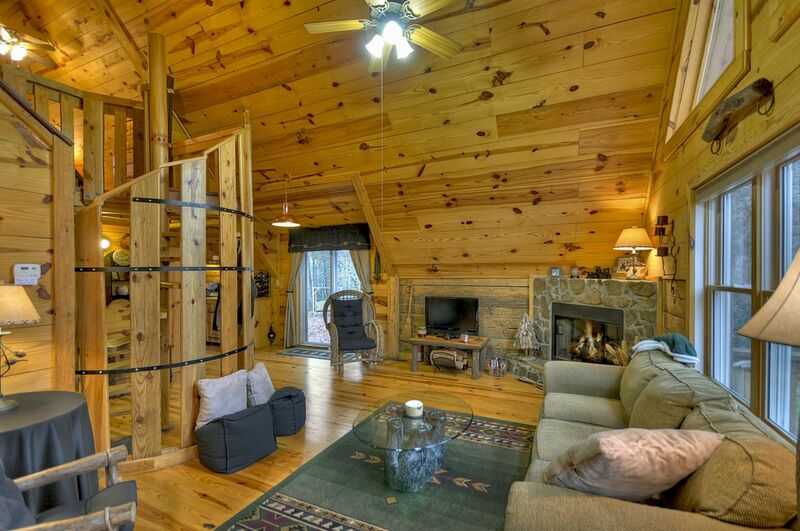 Triple Treat Retreat is the ideal honeymoon retreat, or a great spot for a small family escape. 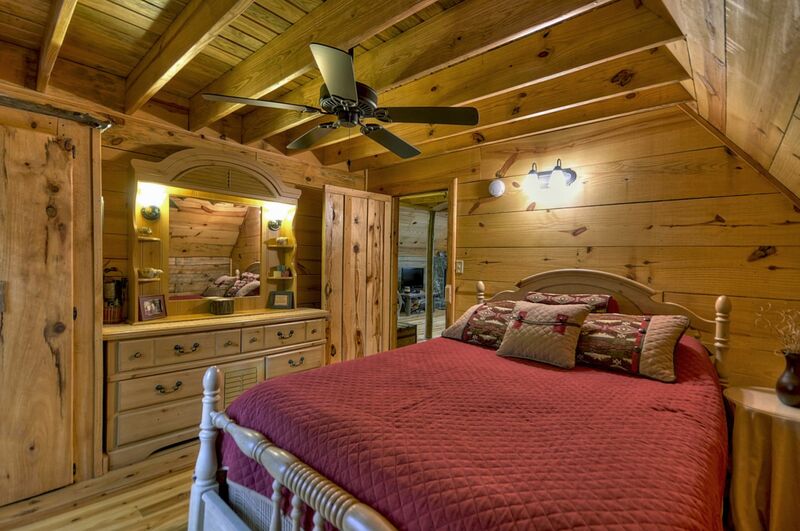 With the great room, fully equipped kitchen, outdoor living space, and Master Suite with Queen bed all on the main level, Triple Treat’s floorplan offers guests one level living space. 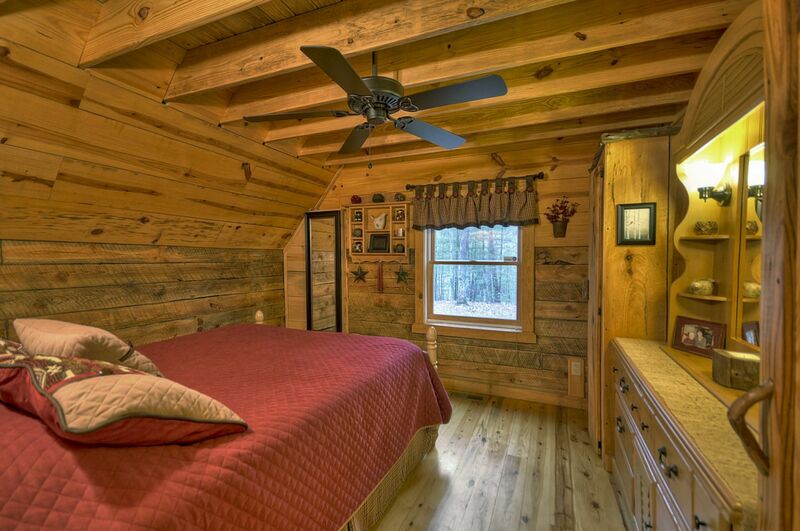 The cabin’s unique wooden spiral staircase winds up to additional space in the sleeping loft with Queen bed.